In the new Story of the World, the mechanisms that are driven by the growth imperative will no longer exist. Instead, it would follow the principles expressed in any ecosystem found in the natural world: i.e., that it is organically counterproductive for any species to bring about the demise of its host system. Welcome to the Gift Economy. By GUY LIEBERMAN. A Yale graduate, economist, philosopher, mathematician, ecologist, translator, author and guru walk into a bar, and he orders a drink. Carrot juice, no ice. 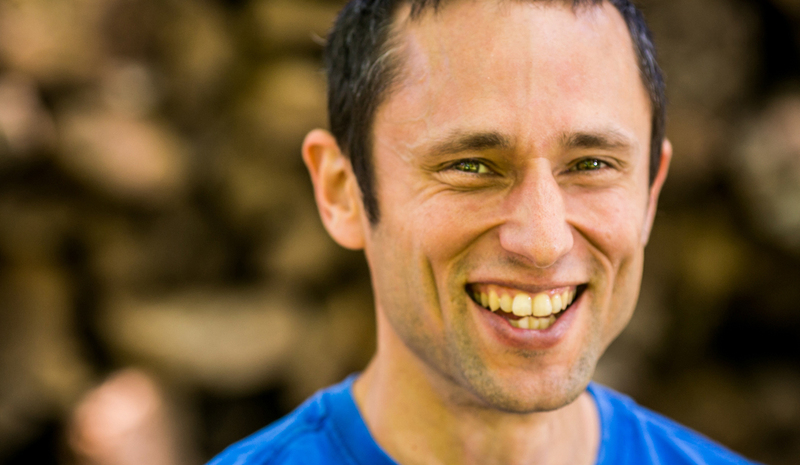 Charles Eisenstein, visionary, activist, and master of the middle way, is the soul of the Millennium Man. Embodying a blend of boldness and clarity, empathy and openness, genius and pragmatism, he carries a profound, almost scary understanding of our system—yes, the one you’re in now. We, the Blue Pill addicts, are about to meet the genuine, also-very-cute Neo when he visits South Africa in early September. And he’s toting a hamper full of Red Pills, so prepare thyself. I’ve been following Eisenstein’s work on and off over the years, and eventually caught up with him over a crackly Skype call to his home in Pennsylvania. His latest book The More Beautiful World Our Hearts Know Is Possible succinctly captures his worldview, which I found to be a Mandelbrot set of ever-refining considerations on how humanity has evolved to the complex and troubled state in which we find ourselves. It is a masterfully crafted inward study of the ongoing delusion of ourselves, of our voraciously expanding desires for more consumption, all set on the dramatic backdrop of a planet with fewer and fewer resources. There is a way out of the quagmire, however, and Eisenstein unpacks it with elegance, lucidity and compassion. In The More Beautiful World Our Hearts Know Is Possible, Eisenstein posits that humanity has been riding along a progressively intensifying and polarised narrative, which he calls the Story of Separation. In this Story we experience the world as separate from us: individuals with our singular motives based on the survival-of-the-fittest mantra; separate from each other; separate from nature. This Story of Separation, he explains, is at the core of all the problems that exist in society. In its outward manifestation, this is the real driver of an economy hooked on growth that will continue to spiral through increasingly explosive bursts of bubbles, each preceded by a more intricate and ultimately futile triage, until—if we continue down this line—the collapse of our system as we know it. It is also the reason why it seems that the motivations and mechanisms for war are so easily triggered; the demonisation of the other can only happen on a pretext that they are, after all, so very much the other. Thankfully, all is not lost. Not yet, anyhow. Eisenstein continues that in a very possible future, humanity could choose to emerge into what he calls the Story of Interbeing. Here, we experience ourselves as we truly are: part of a weave of interdependence, one that is undeniably, beautifully, and luminously linked to the natural world, and each other, on which our species has survived and thrived—and culturally understood and honoured—since our dawning. With previous book titles including Sacred Economics and The Ascent of Humanity, what I found refreshing is that Charles doesn’t in fact perceive himself as a spiritual person. “It’s funny—the secular folks think I’m too spiritual, and some in the spiritual community see me as too heavily based in science.” This is part of his appeal. His agenda is genuinely about the evolution of humanity, back toward our truer natures, without the weirdness of Bible Code thumpers or the shrill defensiveness of God deniers. He’s basically saying: look at the essence, what is it that makes you feel deeply human? If you really give it space to contemplate, it’s ultimately not the fleeting adrenaline high of a good day procuring more stuff at the mall, as lifting as that might be at the point of purchase. Breaking it down to the core, it’s about the experiences we share with people we love—or even with people we don’t know; giving a spontaneous smile to a stranger and getting a warm beam in return. It’s that moment where you find yourself, for once, not caught up in the continual spiral of thoughts, regretting the past or longing for the future—and suddenly catch a scent of new jasmine on the breeze, just as the dappled sunlight warms your face. These too-rare moments are what he suggests should make up our daily experiences—where the joy of living on the planet is provided in abundance and accepted as a constant. He sees that this as genuinely possible, and that this sentiment could provide the basis for a profound change of heart about what drives us as individuals and ultimately as society. And, lest we cynically fob this off as too soft, it is more than just sweet points of bliss that might recalibrate our compass. The re-appreciation of and aspiration to these states can ultimately save us from ourselves, as consumer pods locked into a system that is eating its host. So what’s screwing it all up? At base, it’s the fundamental misconception of our independence as singular selves. Unlike communities of the past, where the survival and health of the group relied so deeply on the participation of the individuals that made up the whole, in modern society Eisenstein explains that we have “created community in our suburbs as an add-on to a life of consumption, and in that process have stopped really needing each other”. This is a fundamentally flawed construct, he feels, and is at the root of so much of the shadow being acted out in the world. Humanity has for millennia understood and grasped these clear equations, that what we do to ourselves, we do to each other. How we treat the planet comes in equal measure to the treatment of our very own species. In the intoxication of our industrialised culture, we are totally missing the signals to change the way we live on this planet. It’s here where he weighs in on the issue of money, not as the root of all evil, but certainly as the facilitator of it. “Any time you want to understand why there is a biodiversity crisis, or why are we drilling for more oil when it’s polluting the atmosphere and causing oil spills. When you ask why, down a couple [of] levels you always get to money.” He takes it further. “Money is an agreement. It doesn’t have value all by itself; it has value because we all agree that it has value. Economists will tell you what money does—it facilitates exchange, you can count and keep track of things.” While this definition is not unique, his explanation of it is so simple and compelling that he has drawn many thousands of people from across the globe who are starting to listen more closely. In the new Story of the World, the mechanisms that are driven by the growth imperative will no longer exist. Instead, it would follow the principles expressed in any ecosystem found in the natural world, where it is organically counterproductive to institute a species that brings on the demise of the system that is its host. There are, of course, rare examples of this found in nature, like a super colony of ants that might absorb surrounding smaller colonies into its expansion, but once it has reached its pinnacle, the environment can’t sustain it and the colony starts to starve, shrink and die. Eisenstein proposes that the Story of Interbeing will be built on a Gift Economy, which is pretty much the adverse of our current system. In today’s economy, “if you’re a bank you’re going to lend to the person who’s going to create new goods and services, so they can profit and can pay you back. You’re not going to lend to somebody who doesn’t create goods and services. So money goes toward those who will create even more of it. Basically, economic growth means that you have to find something that was once nature and make it into a good, or was once a gift relationship and make it into a service. You have to find something that people once got for free, and then take it away and sell it back to them.” Example: that premium bottled water. In a gift economy, the system gets flipped on its head, and it’s no longer about everyone being in competition with everyone else. “In a Gift Society, when you have more than you need, you give it someone else who needs it.” The more generous you are, in spirit and in act, the larger both your status and your security in community—because the gifting principle will ensure that based on the amount of gratitude generated, people will look out for you. It’s kind of like taking Burning Man to the High Street, and waiting for the result. If our society is based on the ongoing narrative we’re self-generating, then surely the story of the Toynbee Convector could serve as a harbinger for potential of the New World. Ray Bradbury, the renowned science fiction master and author of Fahrenheit 451, wrote a challenging story called the Toynbee Convector, first published in 1984. Stiles becomes an architect in the process, joining with crowds of other people uniting to help build that magnificent future. Then, due to the astonishing medical advances made, he lives a further one hundred years after his return. In fact he lives right up to the day in the future he arrived in his time machine, which he calls his ‘Toynbee Convector’. On this day, the day he arrived from the past, he gathers to him journalists from around the world to witness his ‘return’ and for a grand announcement. All around, they congregate, setting up the equipment to record this momentous occasion. Then the time arrives and all cast their eyes up to the heavens waiting for the flash, heralding the arrival of Stiles in his time machine from a hundred years in the past. Stiles turns to the young journalist next to him and makes a stunning revelation. “‘You what! ?’ cried Shumway. The crowds below shifted uneasily. ‘I lied,’ said the old man simply. Stiles had faked the entire trip.